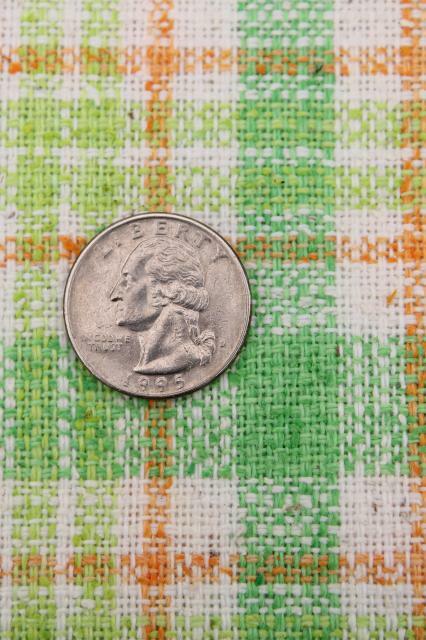 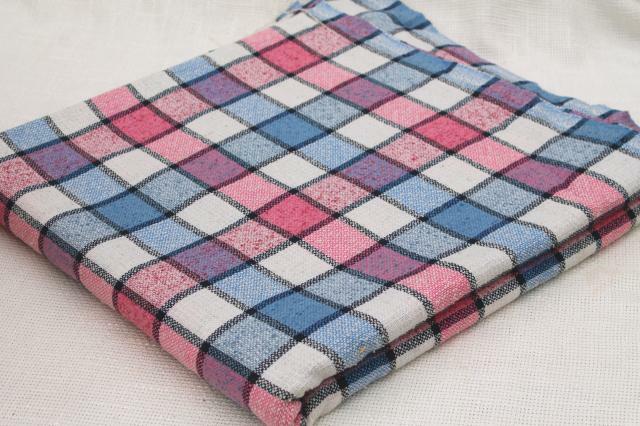 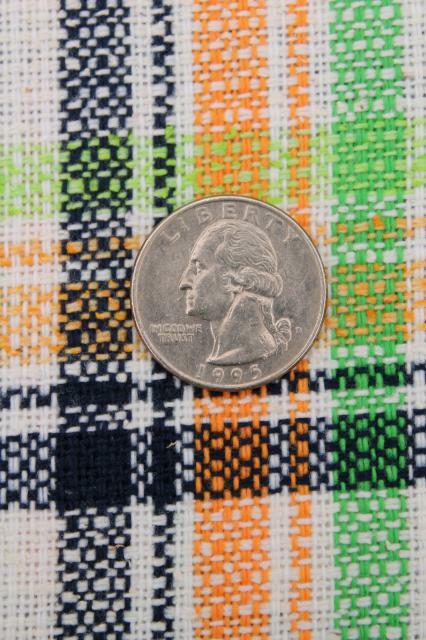 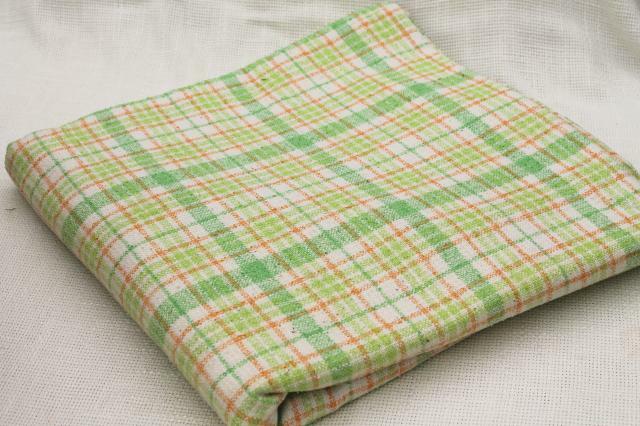 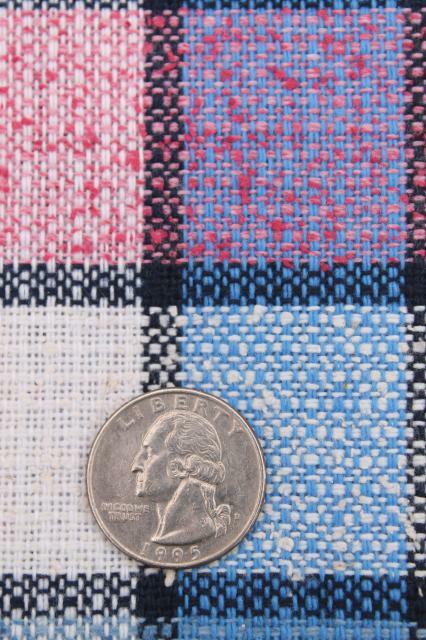 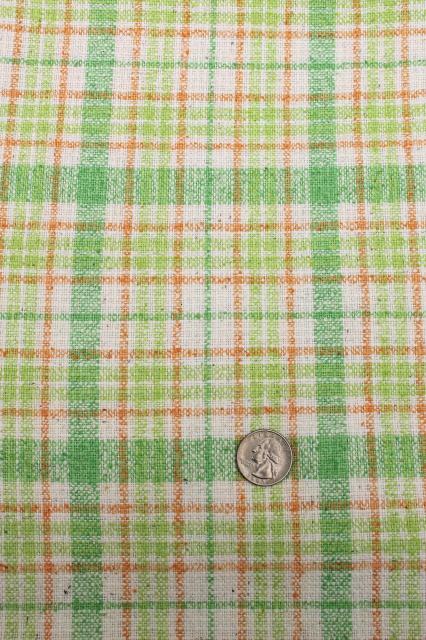 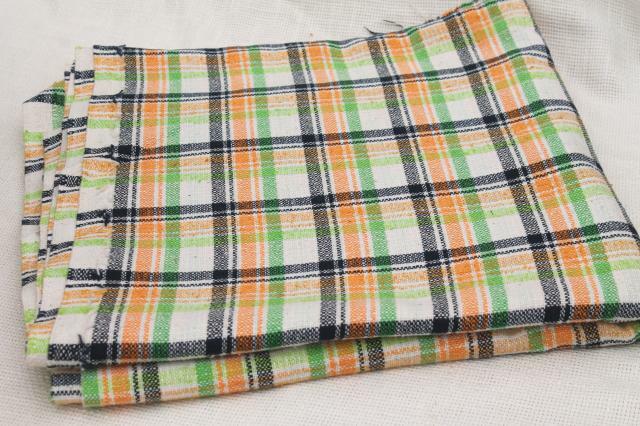 Pretty preppy plaid suiting fabric, 60s or early 70s vintage, linen weave cotton / poly blends. 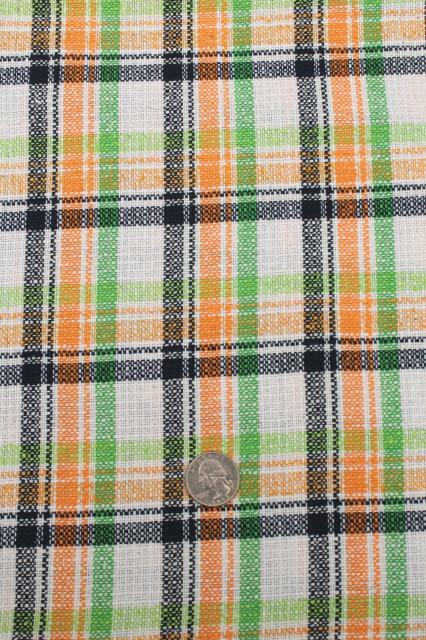 Love these colors - pink and blue, orange and lime green, navy blue, kelly green and orange! 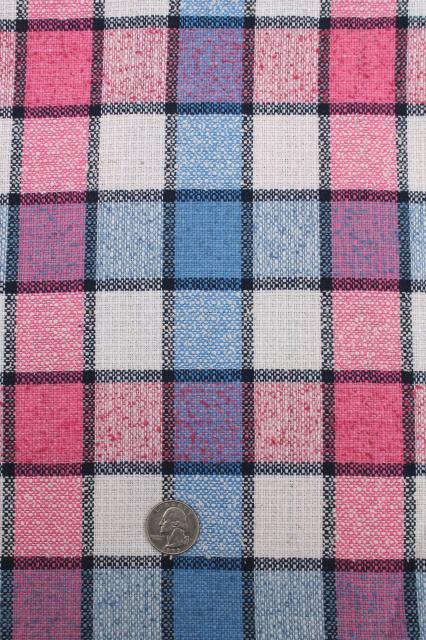 These are all 48" wide fabrics, each of the three pieces 3 yards or more. 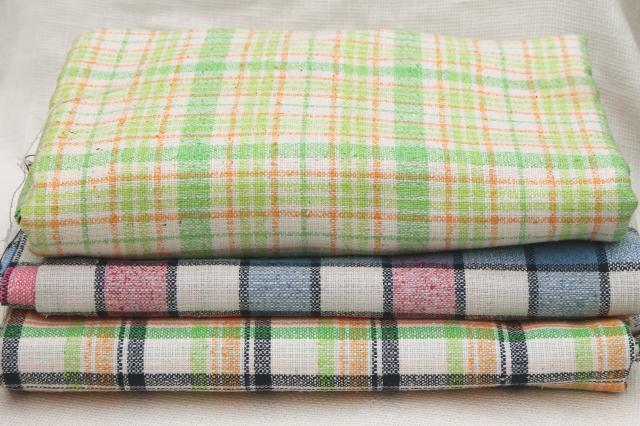 All of these are in good clean condition, crisp and nice.